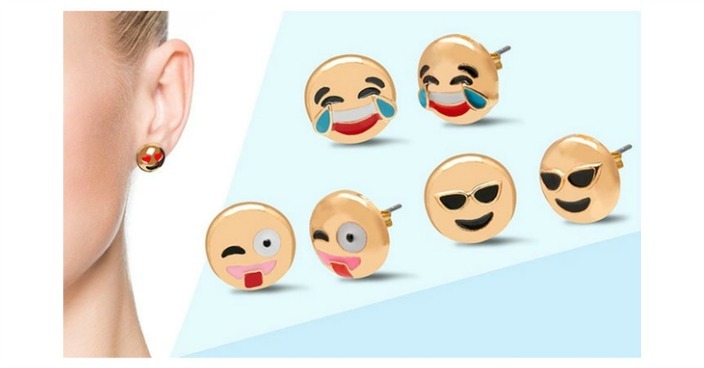 Original Emoji Earrings Just $8.99! Down From $50! You are here: Home / Great Deals / Original Emoji Earrings Just $8.99! Down From $50! Tanga has these fun Original Emoji Earrings on sale for $8.99 (Reg. $50)! A collection of assorted emoji studs lets you express a fun and positive mood with your earrings!